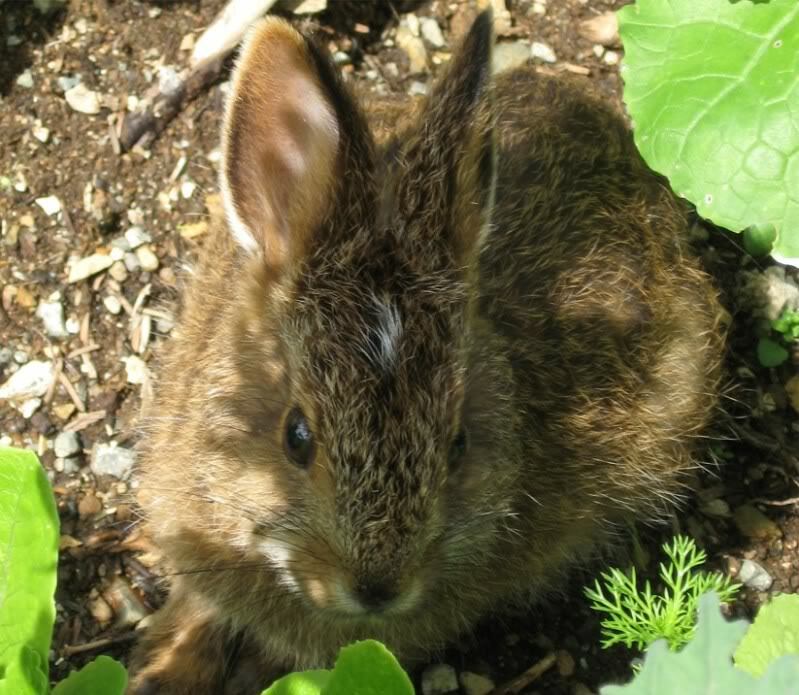 Sweet Little Rabbit Hiding In The Garden | Photos Squeee! We protected the entire perimeter of our veggie garden with chicken wire so that the rabbits would know their boundaries. My clover lawn is like sweet candy for them and this I am happy to share. 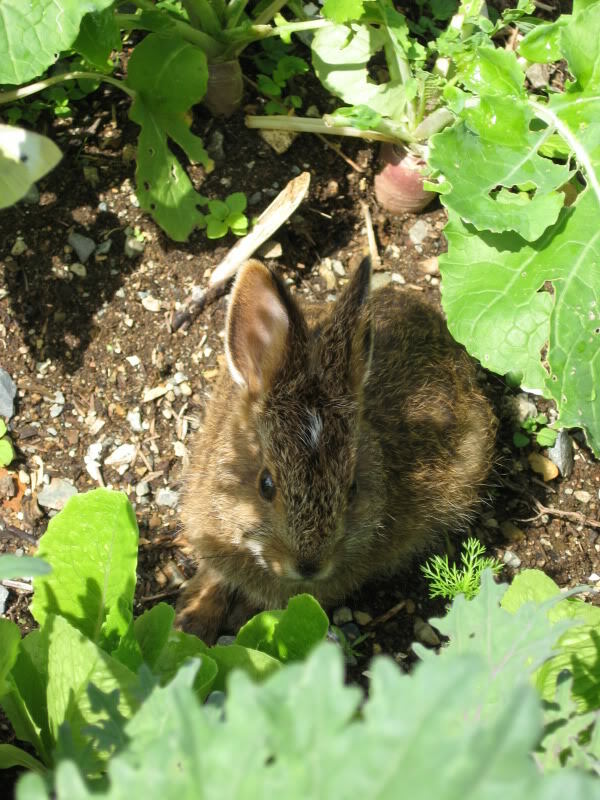 While gathering some supper veggies I noticed a small ball of fur and first reaction to the tiny brown mass was RAT! I approached and found this sweet little face looking up from the romaine lettuce with a look that said “but…I only ate just one”...After two shots (with the camera) he dashed right through the small openings of the chicken wire holes.